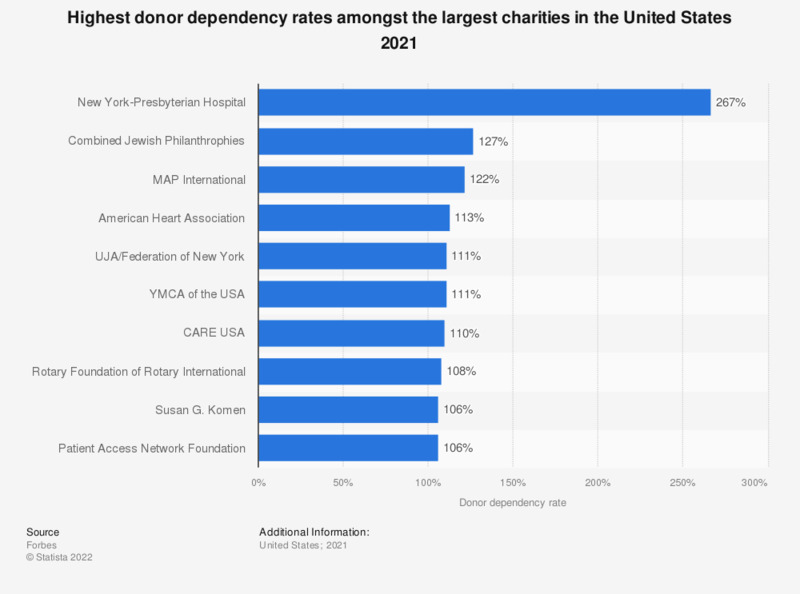 This statistic shows U.S. charities (out of the 100 largest) with the highest donor dependency rates as of 2018. Teach for America had the highest rate of dependency on its donors with a score of 117 percent. A score of 100 percent would signify that the charity had broken even in its budget. A score higher than 100 percent signifies that the charity ran a deficit as donations were not high enough to cover all costs. To calculate donor dependency rates the annual budget surplus/deficit was subtracted from the total amount in gifts and then divided by the amount received in gifts. The higher the score, the more a charity was dependent on donor contributions. A score of 100 percent would signify that the charity had broken even in its budget. *Only the 100 largest charities have been included. Statistics on "Charities and volunteering in the United Kingdom (UK)"
Change in nonprofit charitable receipts 2011-2012, by organization size in U.S.
Change in nonprofit charitable receipts from 2002 to 2012 in the U.S. Nonprofit organizations in the U.S. In what way do you think contributions to your organization will change in the last quarter of 2011? Did your organization meet its fiscal year fundraising goal in 2011 and 2012?